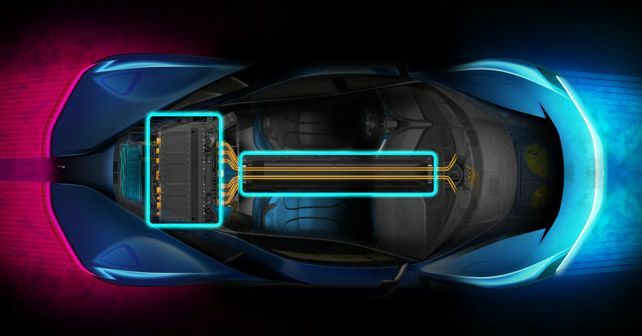 Rimac will be supplying electric powertrain and battery technology for the upcoming Automobili Pininfarina PF0 hypercar. Pininfarina’s newly formed automotive division, Automobili Pininfarina, has joined hands with Croatian electric car manufacturer Rimac. The partnership will see Pininfarina source batteries as well as drivetrain hardware and software for its upcoming PF0 electric hypercar. For those not in the loop, the famous Italian coachbuilder and design house, Pininfarina – which is now owned by Mahindra – recently announced its own automotive division, Automobili Pininfarina. More recently, at this year’s Pebble Beach Concurs, the company teased its first ever product, the PF0. Officially, nothing was said on its performance or specifications at the event, however, it was reported that the PF0 will have as many as 1900 horses in a sleek carbon-fibre body. Now with Automobili Pininfarina and Rimac partnering up, it all seems to make sense. You see, a couple of months ago, Rimac unveiled the C_Two and its specs and performance are very close to what we’re expecting from the PF0. For instance, it comes with a 120kWh lithium manganese nickel battery pack that gives it a peak power output of 1,888bhp, along with an instant torque of 2,300Nm! 0 – 100km/h takes only 1.97 seconds and it has a top speed 412km/h. Now, from what we know, the Pininfarina is going to do 0-100km/h under 2 seconds as well, and it’ll have a top speed in excess of 400km/h. That's nearly identical to the C_Two's performance. Can't be coincidence, right? In addition to the partnership with Rimac, Automobili Pininfarina has also roped in Christian Jung, ex‑Porsche Mission E Engineering Project Lead, to take the role of Chief Technical Officer. The company also announced of signing former Formula 1, Le Mans and Formula E racer, Nick Heidfeld, as their development driver. The Automobili Pininfarina PF0 is expected to make its world debut at the 2019 Geneva Motor Show, while customer deliveries will only begin from 2020. Also, only 150 units will be made.